Another run of the mill red ale. I remember this beer being much better 10 years ago, either it changed when Shipyard purchased them or my tastes have changed. Appearance is great with a nice amber coloring and thick head that stays with you throughout. Aroma is solid and taste is not as sweet as some of the previous reds. Not a lot malt flavor or caramel but overall this is not a bad beer. Again I was hoping for better but I seem to review all the reds about the same. 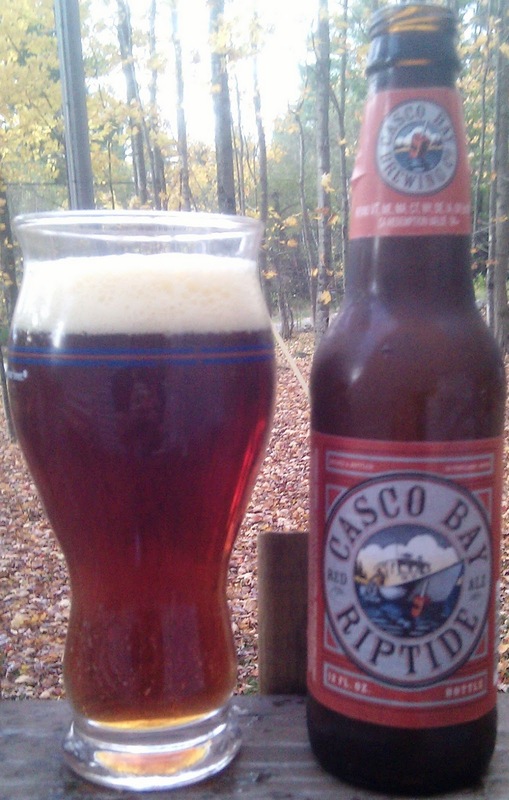 Brewers Description: Our flagship, this Irish-Style Red Ale proudly won a gold medal at the 2000 World Beer Cup. A combination of 5 different malts and 3 hop varietals, carefully blended, results in a perfect balance. Full-flavored and medium-bodied, the Riptide Red provides surprising complexity for such an easy-drinking brew. The Riptide Red has an original gravity of 1.056 and a 5.4% ABV.